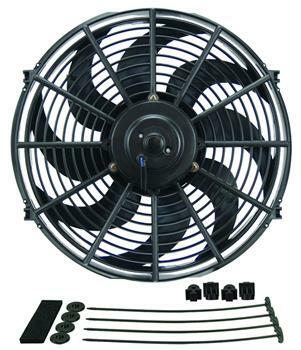 Derale Electric Fan - Dyno-Cool UNIVERSAL - Dezod Motorsports Inc - Home of the automotive performance enthusiast since 2002. The Universal Dyno-Cool Electric Fan is a good performer, moving up to 2000CFM at 0 static pressure, drawing only as little as 5.3 amps. 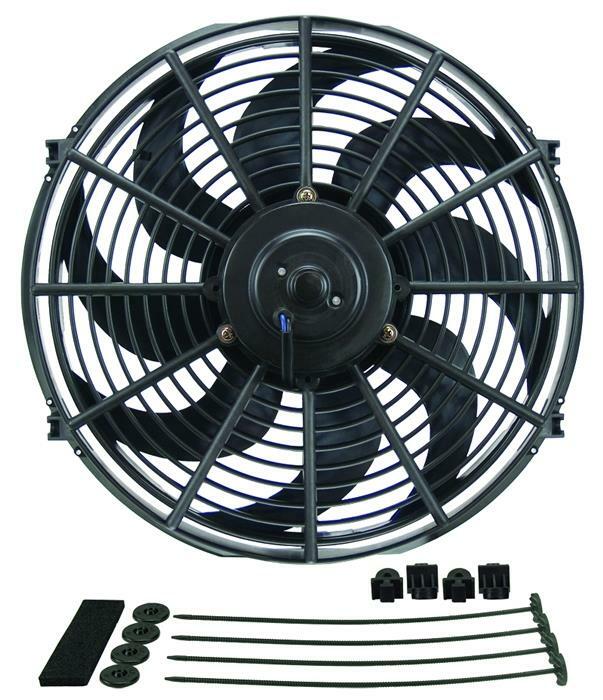 Includes fan, mounting kit and mechanical fan controller with adjustable turn on temp between 32°F-240°F with turn off set at 10°F below turn on. Uses a capillary tube radiator hose probe design. Complete with fan kit which includes all mounting hardware, lighted toggle switch, fuse, and wire connections – some models include control kit with thermostat and probe.